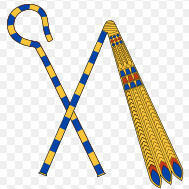 This old-fashioned agricultural threshing tool (used to separate the grain from the husks) was, together with the crook, a symbol of office for the Ancient Egyptian pharaohs. 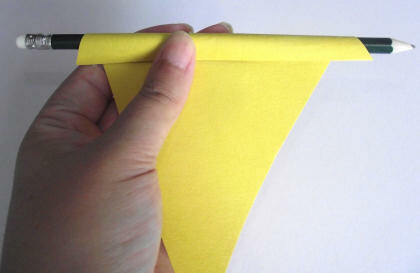 Kids can make their own following the simple instructions below - and we have a crook craft too. 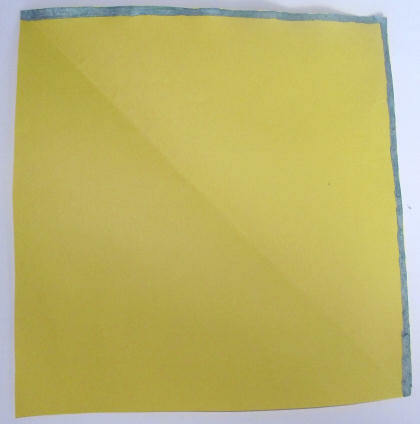 Cut a large square from yellow paper. Draw a thin blue line along two edges as shown in the photo below. Lay the square face down with the blue edges away from you and the yellow corner towards you. From the corner, roll the square to make a pole. You will need to glue the end down well. Make a hole in one end of the pole. 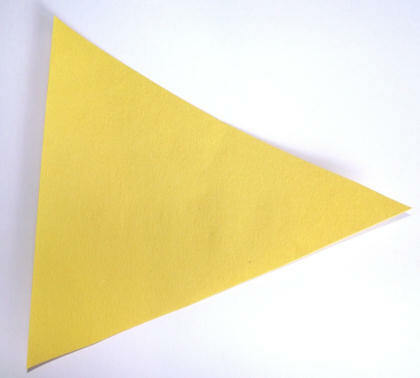 To make the beads cut three large triangles from yellow paper. Starting at the edge of the triangle roll the paper around a pencil. Glue the end down well, and slide off the pencil. Repeat with the other two triangles. 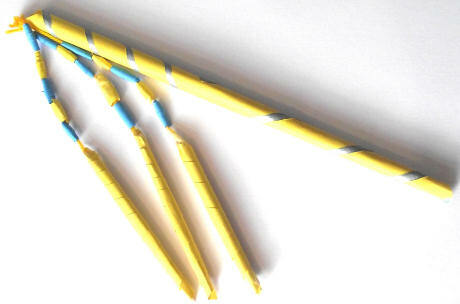 Cut narrower triangles from blue and yellow paper and repeat to make smaller beads. Cut three lengths of string. Thread one of the large beads onto one of the pieces of string. Secure in place with some sticky tape. Thread on some smaller beads. Tie the end of the string to the top of the pole. Repeat with the other two lengths of string. Reinforce the top of the pole with some sticky tape.